Our teachers maintain their own deep consistent personal practices and are in service to share and guide. We are grateful for the opportunity to do what we do. Cher is a practitioner of the Healing Arts, a KRI Certified Instructor of Kundalini Yoga, as Taught by Yogi Bhajan, and a Reiki Master Teacher. She has practiced yoga for over 20 years and several years ago she became acquainted with the ancient instrument, the Gong. Ever since, she has shared the gift of love of her gong in live meditations and baths throughout Orange County. Cher also spent 37 years working in the health field as a registered nurse, which has given her extensive experience in helping and healing her patients, as well as a deep sense of compassion and connection to the human spirit. Her desire now is to help others connect with the Divine being that they truly are so that they may live their life in truth, light and love. She uses those gifts now as she weaves the tapestry of dance between the human mind, body & soul through her work in teaching and helping others awaken to their higher consciousness, encouraging the natural process of growth and increased awareness. It is through this elevated awareness that one can tap into the Divinity that exists within, bringing about beneficial lifestyle changes that encourage the natural flow of energy. Cher accomplishes this through her passion to serve the universe as a teacher of Kundalini Yoga, sharing the vibrations of the sacred Gong, and working with the healing energies of Reiki. Her other services include spirit readings, chakra balancing and house blessings. She also carries within her a feeling of deep concert with Mother Earth. Cher is dedicated in her work and connection to spirit, thereby bringing peace and healing to her clients, their families and the entire planet. Learn more about Cher Mang by visiting her Website. Sandhiya Ramaswamy is a Yoga & Ayurveda practitioner. Born and having lived in India, she has had a lifelong and intimate connection with these ancient healing practices. However she really discovered the power of these practices through her own personal and health crises, after being in the corporate world for many years. For nearly a decade now, she has led hundreds of clients, students, and community members in experiencing the transformative power of Ayurveda, Yoga and meditation through private one on one consultations, group classes & workshops, cooking classes and spiritual retreats. 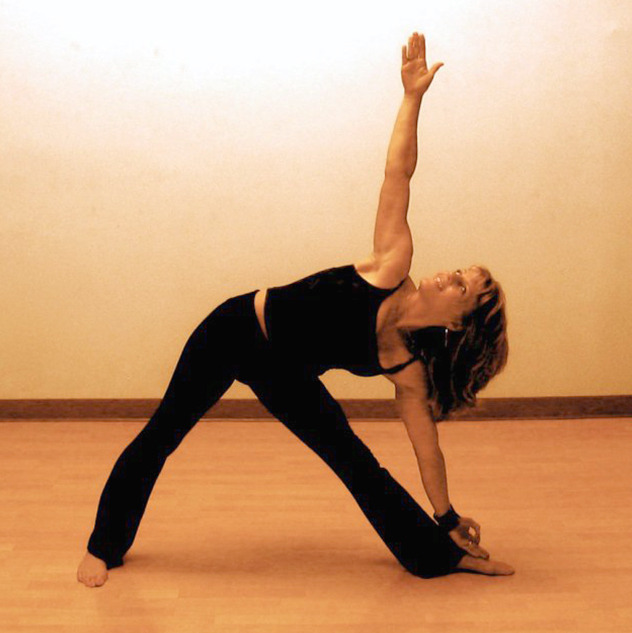 A practitioner of Yoga for almost 20 years, she has studied and deepened her practice with many master teachers including Johnny Kest, Ganga White, Tracey Rich, Leslie Kaminoff, David Swenson, Saul David Raye and Sally Kempton. Her practice Alchemy Ayurveda www.alchemyayurveda.com is located in Dana Point, CA. Sandhiya's meditative vinyasa class strikes a balance between providing a dynamic and challenging practice, while maintaining stillness and a meditative state of mind. Turn your yoga practice into a meditation and benefit on all levels – physical, mental and spiritual – in keeping with the true nature and essence of Yoga. You will leave the class energized and filled with a sense of peace and tranquility. Emily is a California native who has lived and traveled halfway around the world and is now so happy to have come home, to the JOYful shores of Laguna! She started practicing yoga almost 20 years ago, loving it so much she decided to become certified as an instructor in 2010. Yoga coupled with conscious living has been the healing force behind many life challenges for Emily including dissolving a brain tumor, eradicating extreme imbalances from within her body, restoring full mobility after being hit by a truck that resulted in major spinal injury, as well as recovering from trauma and PTSD. These experiences have helped foster her deep commitment to educating her students on the benefits of wellness, striving to empower them with tools for self-awareness and self expansion, all toward connecting more deeply to their own truth. Emily sets a tone that's upbeat, warm, embracing and friendly, inspiring and guiding with words of wisdom from yoga masters and great thinkers alike, often offering a class theme or focus while tailoring to the needs of those present. With vast experience on the mat over the last nine years, her repertoire includes a wide array of classes: basics/foundations, all levels vinyasa flow, bootcamp & power yoga, yin, restorative, prenatal, kids and family yoga. Her classes are dynamic as she weavs in mindfulness and mudras, often incorporating sound healing and essential oils. She brings great depth and dimension additionally, layering in her experience as a daily practitioner of Buddhist meditation for over 25 years, creating an overall experience that is enriching, uplifting and joyful! I Gusti Pratita has been practicing since she was 16 and has a diverse mix of experience, including teaching at the Ko Chang Buddhist Center and Samui Prisons in Thailand. She received her 200hr Ashtanga Teacher Training with Trupteesh Nagaraj H, Samyak Yoga France, Bali (including prenatal and yoga for back pain). Pratita believes that yoga brings us all to the real nature of ourselves, which is to be healthy, kind and accepting. She expresses deep gratitude for her teachers who have all inspired her to share this practice: "my life teacher: my mother, a long dedicated practitioner of Iyengar yoga who introduced and taught me that yoga is not only asana but a way of life, all my teachers at the Bihar School of yoga and Sanna Kokonen for her guidance in my Ashtanga vinyasa practice." She goes on to say, "My yoga practice can be easily applied to life and I want to share this in my class. The practice should align our heart, mind and actions."